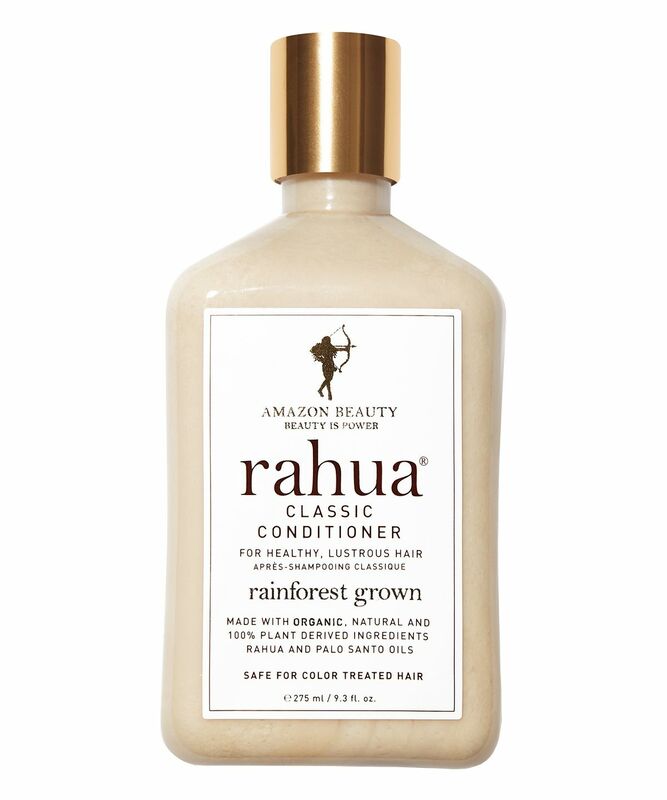 Rahua's pure plant-derived conditioner feels like a rich, nutty butter that instantly detangles hair post-cleansing. The ingredients are famed for their ability to nourish and strengthen hair follicles and the scalp, smoothing and 'sealing' each strand to leave locks with a post-salon shine (and a delicate fragrance). 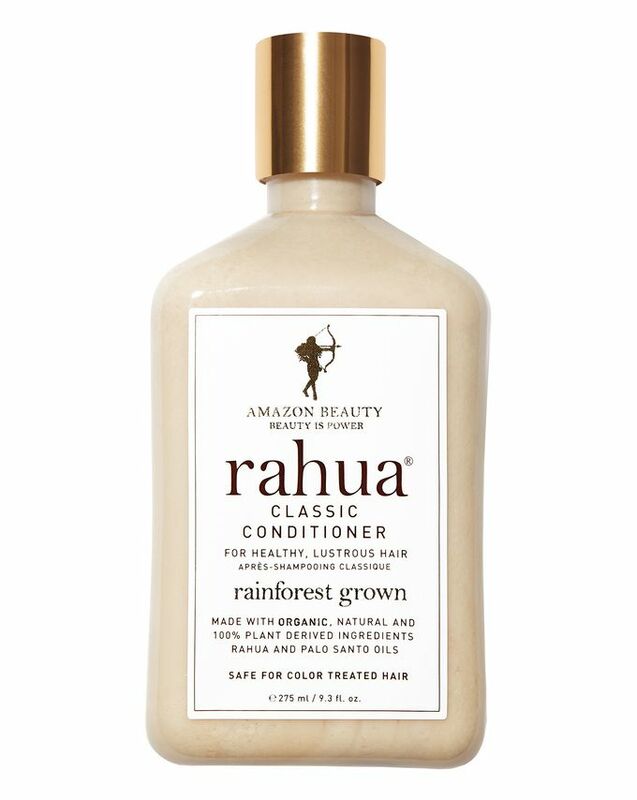 Using chemical-free hair care is a brilliant way to protect and prolong your hair's health (you won't find any parabens, sulphates or gluten in Rahua's phenomenal formulas), and because the brand is also its own philanthropic project - supporting Amazonian tribespeople and helping to preserve the rainforest's unique environment - you can now have clean hair with a squeaky clean conscience. An enriching and luxurious complement to rahua's Classic Shampoo, this award-winning Classic Conditioner is made from the most potent, plant-derived ingredients, sustainably sourced from the Amazon rainforest. This rich and ultra-hydrating conditioner delivers lustrous, healthy locks and detangles with powerful omega-9 rich rahua oil and exotic extracts that combine to maintain strong, enviably lustrous locks while increasing your mane's maneagability. The rahua oil is harvested by hand from the Amazonian rainforest, then blended with aloe, green tea extracts and jojoba oil to create a formula that will 'un-knot' even the most stubbornly tangled tresses, leaving them soft, smooth and with a healthy gloss. Ideal for colour-treated hair, this clever conditioner enhances colour depth and also doubles as a styling aid - preventing frizz and taming flyaways without compromising volume or leaving fine hair looking greasy. After shampooing, leave in 3 minutes, rinse. Your hair care problems, solved! I like this conditioner because it does the job. The packaging works very well even if the cream is thick and hair feels soft after usage. Having said that, there is no magic for me. There is also a strange thing about the smell: when you use it in the shower it smells like burnt plastic but in the hair, this turns out to be very pleasant and perfumy. If you want to try it I think you will probably like it but I repeat no magic any wow effect. Never has a conditioner made my hair nourished without being too heavy as in making my hair greasy. Can’t live without it! I've been dyeing my hair for almost 10 years now. I've had blond hair, then black hair, the all the shades of red and copper. My hair was very damaged. It was damaged to the point that not even cutting it 15 cm did anything. I tried all the possible "natural" and "miracle" products and none did anything for my hair that would truly make a difference. But then this conditioner changed my life. My hair is really soft to touch and lovely again. I haven't had this nice hair in maybe 7 - 8 years. This conditioner is just wow. Worth the price tag! Years of wasted money and wasted hope on other products (everything EVERYthing from supermarket brands to salon exclusives to international imports), but It has only been this Rahua conditioner able to restore my hair to the days before blonde dye and straightening irons. Basically childhood… I will never be a dreaded coarse frizz ball again, as long as I have this. Brilliant product on very curly hair. Penetrates the hair very well after only a few minutes and gives great body. This conditioner smells a little strong in the bottle and on the hair when the hair is wet, but barely detectable when the hair is dry. I`m not completely satisfied with this conditioner. It makes my long and straight hair more manageable but definitely does not do anything great. Won`t purchase it again. My hair is chemically straightened and coloured. I have to use the best haircare products possible to maintain its health. The Rahua conditioner is amazing! It leaves my hair so soft and shiny. Totally worth the price. Will always use Rahua shampoo and conditioner now. Going to buy the Rahua hair mask next. Great conditioner and leave in! For a product that does not have silicones this is amazing ( after I bleached my hair it became very dry and I realised that silicones only hide the problem). But after using this, my hair was soft, not greasy. I used as a conditioner and a leave in and I'm looking forward to trying their shampoo.